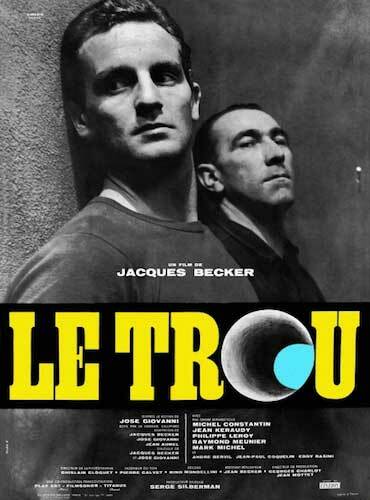 Directed by Jacques Becker, LE TROU is based on a true story of a prison escape. Four men in La Santé Prison plan to break out of prison when they are forced to bring in a fifth member who has been assigned to their cell. The events that follow are told on the screen painstaking detail as the five men dream of freedom. Jacques Becker Rialto Pictures’ release of a new 4K restoration of Jacques Becker’s LE TROU, a classic of the prison escape film genre based on a true story, will open Friday, September 1, 2017 at Laemmle’s Ahrya Fine Arts Theatre in Beverly Hills. From the director of the “Paris trilogy” ( Antoine and Antoinette, Rendez-vous in July, and Edward and Caroline) as well as gangster flicks Touchez Pas Au Grisbi and Casque d’Or, LE TROU was described as “the greatest French film of all time” by legendary director Jean-Pierre Melville. Becker, a protégé of director Jean Renoir, died shortly after completing the film at the age of 53. Four men in La Santé Prison, staring down the barrel at hard time, decide to execute a prison break and are forced to bring on a fifth member, Claude Gaspard (Marc Michel), when he is assigned to their cell. The particulars of the escape, based on actual events, are rendered in painstaking detail as the five men dream of freedom.